Louis Sidoli Neon Art: "Pele Art Life Football" Exhibition Halcyon Gallery. Halcyon Gallery Bond Street, London, from September - October 2015 and at the National Football Museum, Manchester from May 2017 to March 2018. 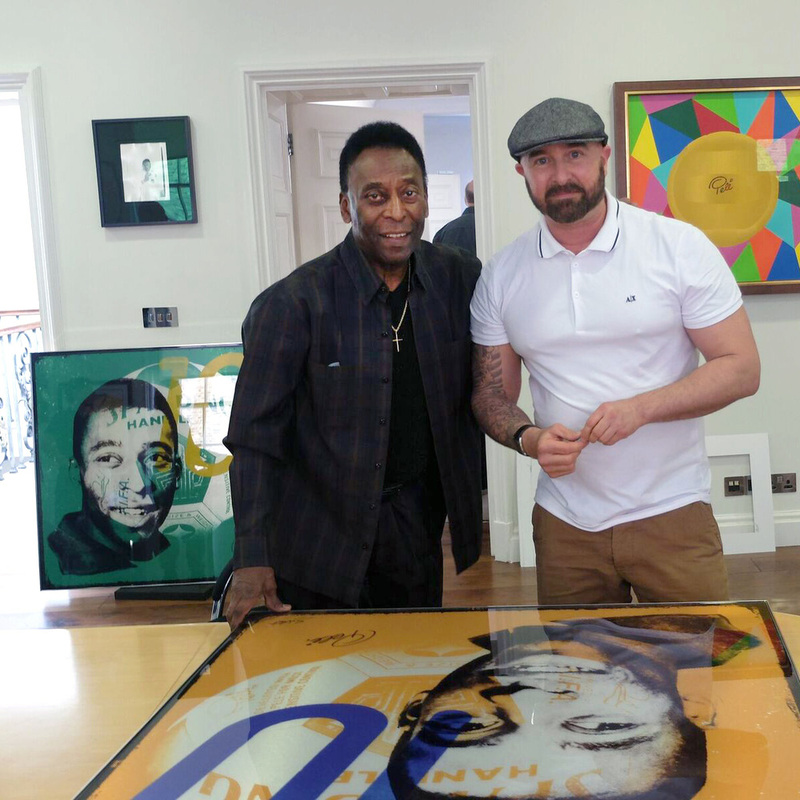 The exhibition featured a series of 7 mixed media and neon artworks by Louis Sidoli entitled "Famous For 15 Centuries" which were co-signed by Pele himself and exhibited alongside Warhol's original portrait of Pele from 1978. The exhibition comprised of original paintings & sculpture by internationally acclaimed artists including Lorenzo Quinn, Pedro Paricio & Ronnie Wood from the Rolling Stones. The exhibition, which took 3 years of planning, attracted over 50,000 visitors. Following the success of the London exhibition, it was also displayed at the National Football Museum in Manchester for an extended period.